Join our blog and instantly know what it’s like to live in one of the most desirable cities in the Southeast United States – Hilton Head Island, South Carolina! By becoming a fan of our facebook page, Hilton Head Homes and Communities you have a front row seat for all that life has to offer here in the Lowcountry of South Carolina! From great places on Robbies Restaurant Guide, fantastic things to do, breath-taking photography, to everything you need to know about Hilton Head real estate… we have it all! Our knowledge of Hilton Head is invaluable to buyers and sellers alike. We have made it our personal mission to help you achieve your dreams for your own personal piece of paradise. If you’re considering the sale or purchase of a vacation home or year- round residence on Hilton Head or Daufuskie Island, call on us and Discover Your Personal Paradise. “Whether you enjoy boating, walking on the beach, kayaking, riding the bike trails, playing a few rounds of golf, shopping or dining.” We are personally well acquainted with each and every one of them. We are experts at helping buyers find the home, villa or lot of their dreams, and we have the skills and savvy to help sellers market their properities to the right buyers for the best sale at top dollar. 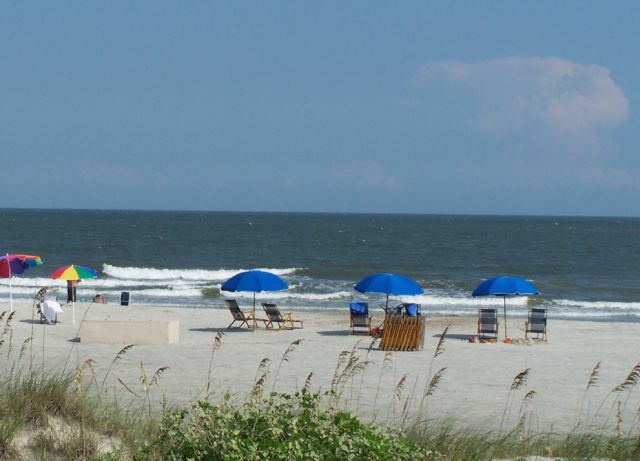 Hilton Head ~ Are you ready for a taste of life beyond compare? Robbie not only helped us purchase a superb home on Hilton Head Island but sold a previously owned townhouse very quickly to help us have the funds to purchase with cash and make a far better deal. His guidance throughout both transactions have been very attentive and professional. We would, and already have, referred Robbie to our friends and relatives for any future home searches and purchases knowing that they would receive the same professional attention that we received. We met Robbie and Jane through a friend of ours that recommended Robbie Bunting to us. Robbie and Jane were a pleasure to work with, They showed us through each step of the process. Being out of state and not local can complicate the purchase process for the buyer. Robbie and Jane assisted us with arranging for our mortgage, purchasing insurance even ensuring that the inspection punch list items were addressed appropriately. Once we closed they continued to assist us by coordinating our first return to Hilton head Island introducing us to a decorator, a rental company and the regiem manager. I would recommend them to future purchasers without hesitation. Are you interested in the Hilton Head Area? For 25 years we have helped clients identify and find the best properties offered for sale in the Hilton Head Area. Although the market has changed, our network has grown and we are able to find and negotiate some of the very best deals in the Low-Country. Utilizing the knowledge of many agents in the area, Jane and I will help guide you through the maze and help you locate the very best property suited for your present and future needs. With every purchase we provide negotiating skills that are local to the area and help you in choosing and obtaining the very best inspectors, lenders and closing representatives. For a free NO OBLIGATION Package for buyers and sellers on Hilton Head Island, please email us at robbie@robbiebunting.com or call us direct at 800-932-3652. This package is valuable for all real estate moves and is free with no obligation required.